Dallas Skyline at Dusk with Reflection Illuminated by a blend of ambient and artificial light, sunset shimmers off the Dallas skyline as the city is reflected back in the flooded Trinity River. 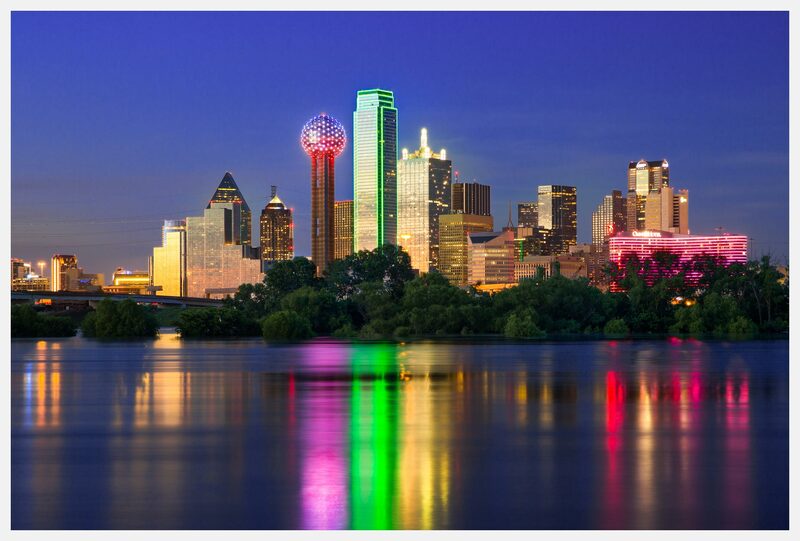 As the sun dips below the horizon, Bank of America Plaza (centered) glows iconic neon green, while lights on the iconic Reunion Tower (center left) flash red and blue, bringing the city to life as the night quickly approaches. (Photo/Stephen A. Masker).